Beat the skills gap and develop the workforce you need. The Simutech Training System is a suite of award-winning simulation products that gives manufacturers in the food and beverage, automotive, oil and gas, and plastics and packaging industries the ability to train their maintenance teams, reduce production-line downtime, and cultivate a workforce with the skills they need. 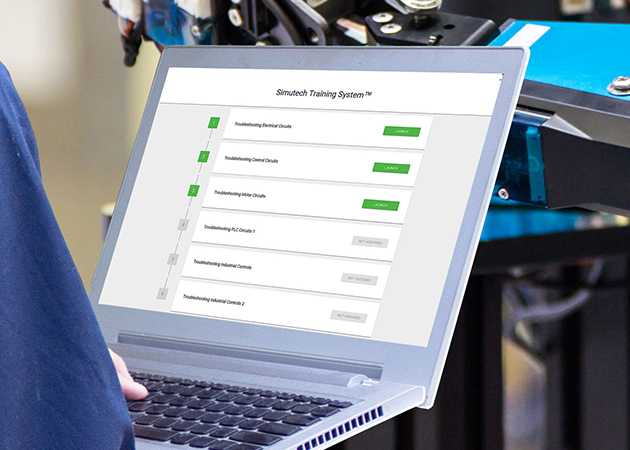 The Simutech Training System is a complete ecosystem consisting of six simulation-based electrical troubleshooting training modules plus the Admin Portal. 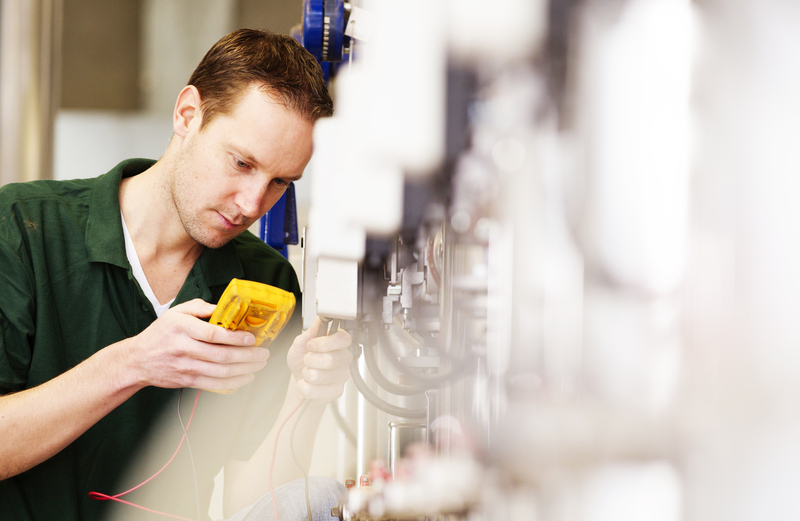 The interactive modules cover core and advanced electrical troubleshooting of circuits, PLCs, and industrial controls widely used in manufacturing equipment. 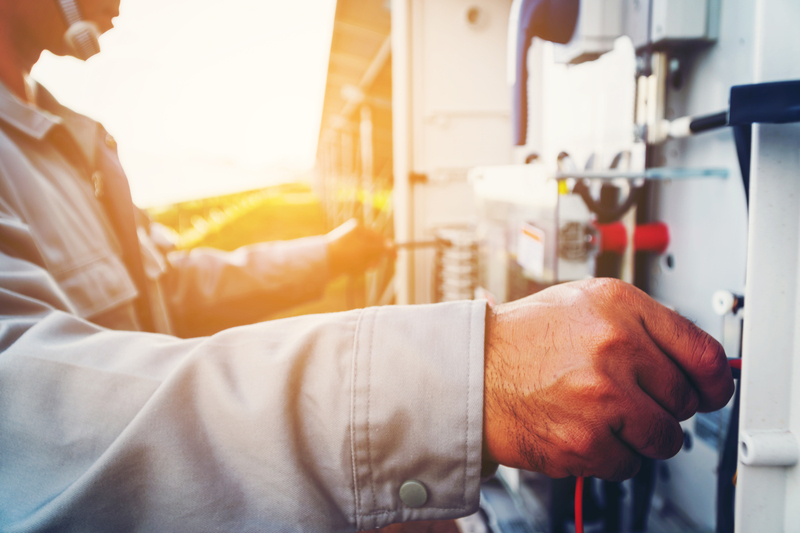 Your maintenance professionals will learn how to diagnose and repair electrical faults in complex production machinery quickly, effectively, and safely, ensuring the smooth automation of your production output. Data to inform your decisions, and more. Our cloud-based Simutech Admin Portal gives administrators the big picture. They can monitor trainee progress, create Assessments (previously known as Custom Tests), and access data and stats from anywhere. The data will show who’s ready to go live and who still needs more practice, giving valuable insights to drive decision-making. Achieve cost savings and other efficiencies by deploying talented staff where it counts.